A human tragedy of major proportions has been growing steadily in Los Angeles County with no signs of declining, despite the slow but encouraging economic rebound from the Great Recession that hit our nation, state and local community with full force in 2009. The heart-breaking tragedy of homelessness in our community, and the ever-rising number of men, woman, veterans and children living on streets, in storefront entryways, beneath freeway overpasses or in vehicles park in our neighborhoods demands our swift and compassionate social service response. Measure H on the Tuesday, March 7 countywide ballot is the appropriate and caring public policy step forward to address homelessness among residents in our community and county. The statistics on homelessness are shocking: 47,000 people are homeless on any given night in L.A. County, including 4,000 children. A stunning figure that is 6% higher than the countywide count of homeless individuals in 2015 and 19% higher than the county’s homeless population in 2013. African Americans make up 39% of L.A. County’s homeless residents. Women comprise more than 33% of L.A. County’s homeless population. The L.A. County Homeless Services Authority (LAHSA) conducted its 2017 count of homeless residents in January, aided by thousands of volunteers that canvassed every community. When the final count totals for this year’s county homeless population are revealed, no one expects those figures to show a countywide drop in homeless families. It is time to act. 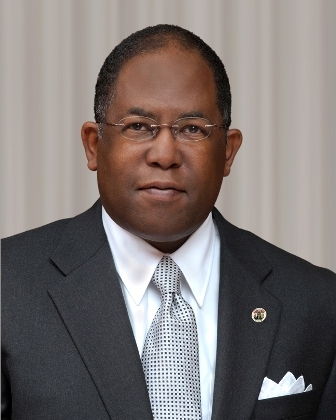 We have a crisis of human proportions that L.A. County Supervisor Mark Ridley-Thomas has called, “The moral issue of our generation.” Ridley-Thomas and his elected colleagues on the L.A. County Board of Supervisors voted to place Measure H on the March 7 county election ballot. The Board of Supervisors is strongly urging county voters to approve Measure H.
Measure H would generate funds to provide long term housing solutions, mental health care, job training and proven homelessness prevention programs. Prominent political, community, civic and ecumenical leaders throughout the African American community in L.A. County have endorsed the Yes on H campaign to pass Measure H.
The L.A. Watts Times joins with the impressive list of local leaders by adding our endorsement to the Yes on H effort. We urge all voters in L.A. County to cast their vote for Yes on H on Election Day on Tuesday March 7. We ask you to vote Yes on H and to do so with a deep and abiding compassion for those residents who are less fortunate than you may be; particularly if you’re a voter in our community who has a safe, secure and warm place to call home each night.